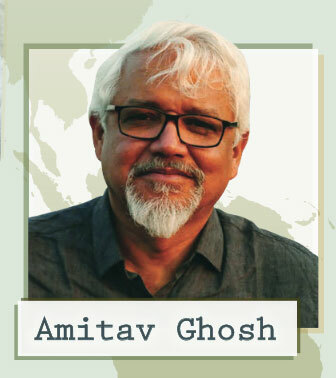 Join us for this highly recommended lecture by Amitav Ghosh, one of the most important novelists and essayists of our time, at 7:00 pm at the UWM Peck School of Arts. Co-sponsored by Department of English, Humanities Division of the College of Letters and Science, Center for 21st Century Studies, Boswell Books, Geography, Creative Writing, SARUP, Anthropology, Urban Studies, Cultures and Communities. Book Sales and signing after the program, provided by Boswell Books.